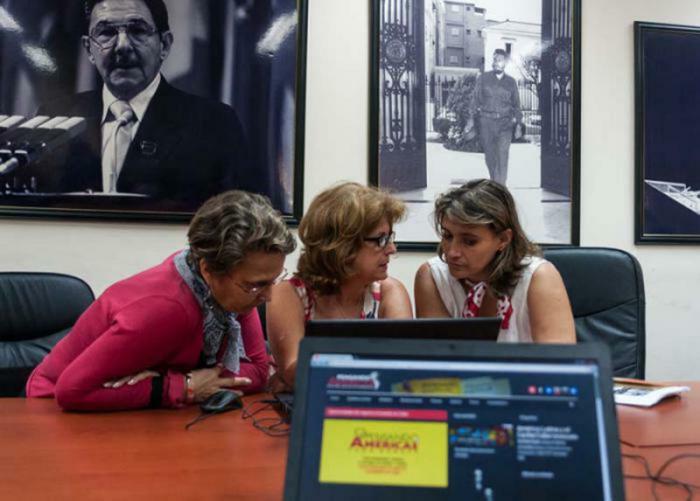 Leaders of Cuban enterprises – set to represent the country in a business forum to take place during the Summit of the Americas in Panama – participated in an online discussion, responding to questions about the updating of Cuba’s economic model and other issues of interest. The In Defense of Humanity Network and other Cuban organizations are sponsoring the platform www.pensandoamericas.com to provide a space for dialogue, in this case for participants from around the world with leaders of the Cuban Ministry of Foreign Trade and Investment and the Mariel Special Development Zone, as well as agricultural producers, members of cooperatives and other economic actors, who will present Cuba’s experience at the business forum scheduled to take place April 8-10, prior to the Summit of the Americas in Panama. The purpose of the forum is to analyze opportunities for business and investment, as well as regional development priorities. The Panamanian government has confirmed the participation of some 600 business people, coming together under the maxim of Building Bridges in the Americas: Productive Integration for Inclusive Development. Cuba has announced that its delegation will include representatives from the Mariel Special Development Zone; the Cuban Chamber of Commerce; and state enterprises such as Habanos S.A., Cuba Ron and Havana Club Internacional S.A., Alimport, and Cupet; in addition to leaders of cooperatives and the self-employed from several provinces. Cuba’s Minister of Foreign Trade and Investment Rodrigo Malmierca will also participate. Abelardo Álvarez Silva, president of the Antero Regalado Credit and Services Cooperative in Artemisa, commented to the press, that his goal in Panama is to share the experience of cooperatives in Cuba and highlight their importance to the economy and the country’s development, as well as their role in improving the lives of farming families. Cooperatives in Cuba produce 70% of the country’s crops, he emphasized. Álvarez also addressed the continuing impact of the U.S. blockade on Cuban agriculture.